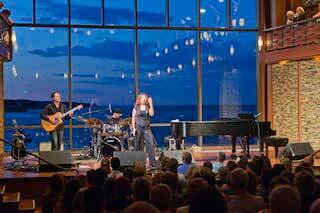 From the tip of Bearskin Neck and the iconic Motif #1, to Rockport Music’s world-class Shalin Liu Performance Center with its stage overlooking the Atlantic, you’ll have a once in a lifetime experience in Rockport. Shop in more than 40 art galleries. Grab a cup of coffee while watching the waves. Find out why international visitors make this a regular destination. Rockport’s district boasts over 40 individual artist galleries and studios, as well as cultural institutions like the Rockport Art Association, one of the oldest active art associations in the nation.